During the past month, users started to complain that they’re unable to turn on Windows Firewall in Windows 10. Since Windows Firewall is a very useful feature, especially if you don’t have any third-party antivirus software installed, this could be a serious problem. So, we came up with a few solutions, in order to help you to solve the problem with Windows 10 Firewall. Windows could not start the Windows Firewall on local computer – This is one of the most common error messages you may encounter if you’re not able to run Windows Defender Firewall. 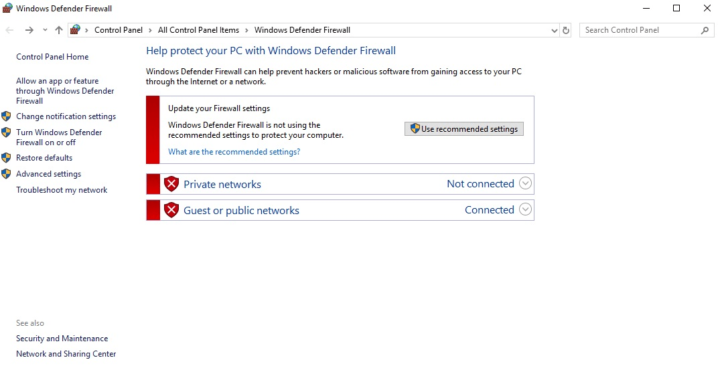 Windows Firewall error code 13 – Error Code 13 is one of the most common error codes you’ll see if you can’t turn on Windows Defender Firewall. 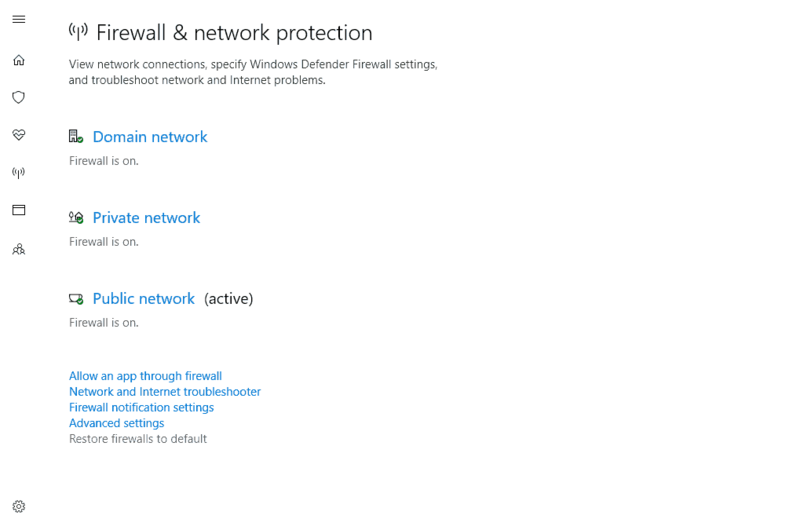 Windows 10 Firewall error 1068 – Another common error code that prevents users from starting Windows Defender Firewall. Windows 10 Firewall error 6801 – Although the error code 6801 is less common, you can encounter this code, as well. If restarting the Firewall service didn’t get the job done, we have a couple of more solutions. Check them below. We don’t have any info if this solution helped someone to solve the problem with Windows Firewall in Windows 10, but it’s an official solution, provided by Microsoft, and not some basic steps from ‘famous’ Engineers from Microsoft Community forums. Even though this problem emerged recently for Windows 10 users, it plagued users for years on former Windows iterations, as well. For that purpose, folks from Microsoft decided to, in order to avoid in-depth troubleshooting for common users, offer a unified downloadable troubleshooter. This tool did a good work on Vista and Windows 7 so we can expect positive results in Windows 10, too. Download the dedicated Firewall Troubleshooter, here. Run the tool and click on Advanced. Check the ”Apply repairs automatically” box and click Next. Wait for the procedure to finish and look for changes. Constant updates that are the common workflow for Windows 10 have a lot of side effects. One of those is, allegedly, forced changes of certain system settings concerning essential built-in programs. Windows Firewall certainly falls in that category. In order to resolve possible issues with an alternative configuration imposed by Windows Update, you should reset Firewall settings. 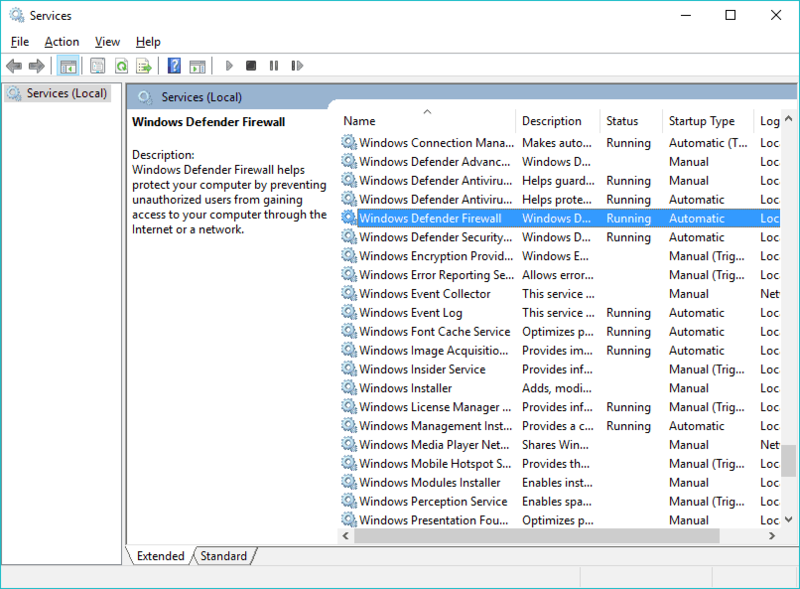 Type Firewall in the Windows Search bar and open Windows Defender Firewall from the list of results. Click on Restore defaults in the left pane. Click on the ”Restore defaults” button and reboot your PC. 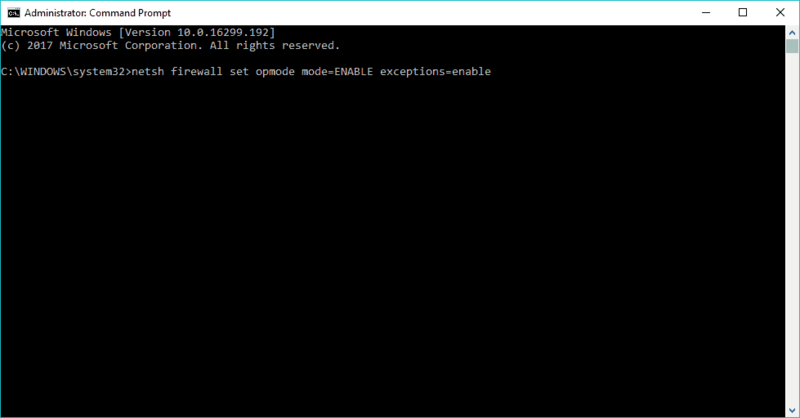 Alternatively, you can use the elevated Command Prompt to reset Windows Firewall to default values. It seems like a drag, but it’s rather simple and requires minimal effort. This is similar to a previous solution, but it will cost you nothing to give it a try if the standard way isn’t giving favorable results. 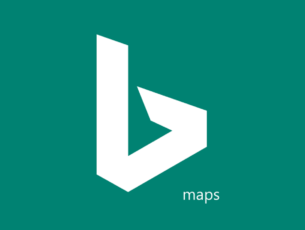 Press Windows key + S to open the Search bar. Type CMD, right-click on Command Prompt and run it as an administrator. 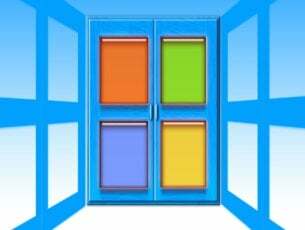 Most of the Windows 10 updates are security-oriented patches. Many of those are covering Windows Defender and Windows Firewall. And we’re well aware that a lot of those patches bring more issues than benefits. That could, consequently, mean that one of the recent updates negatively affected Firewall, rendering it unusable. Luckily, even though you’ll have a hard time disabling Windows Updates for good, you can at least uninstall most of them and resolve issues that way. 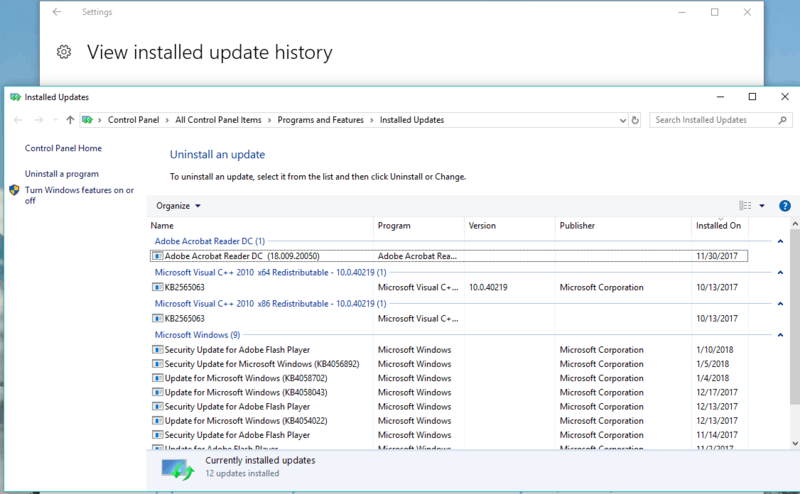 Click on View installed update history. Uninstall all recent updates and restart your PC. And finally, one solution we picked up from Community forums, but it sounds reasonable. If your Windows 10 Firewall simply doesn’t work, use a third-party antivirus software, and your computer will automatically switch to antivirus’ own firewall. If you’re not sure what’s the proper antivirus for you to use on Windows 10, check out the list of all Windows 10-compatible antiviruses, and to make sure you picked up the best, check out the list of the best antivirus programs for Windows 10. However, we strongly recommend you Bitdefender as world’s Nr.1 antivirus. It has a lot of useful features and protection tools. 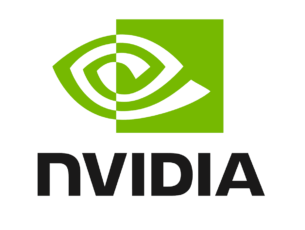 It also optimizes your system and customary take care of your hardware. You will surely find a great plan for you and be sure that it will worth every penny. That would be all, I hope this article helped you to solve the problem with Firewall in Windows 10 (or convinced you to switch to a third-party software). If you have any comments or questions, just reach for the comment section below.